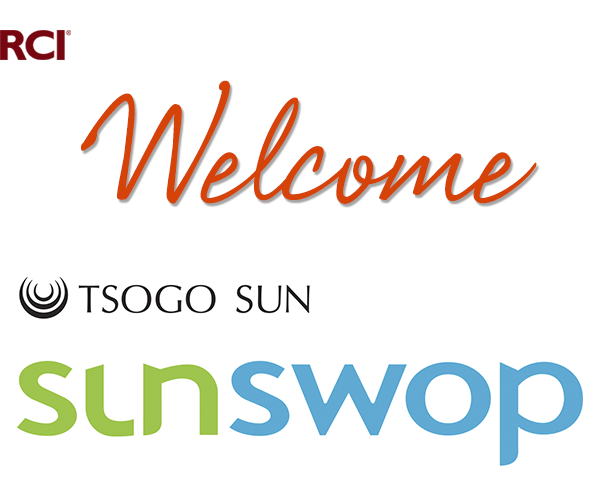 As a SunSwop member you have access to all your SunSwop membership benefits PLUS the opportunity to make use of RCI® membership benefits. 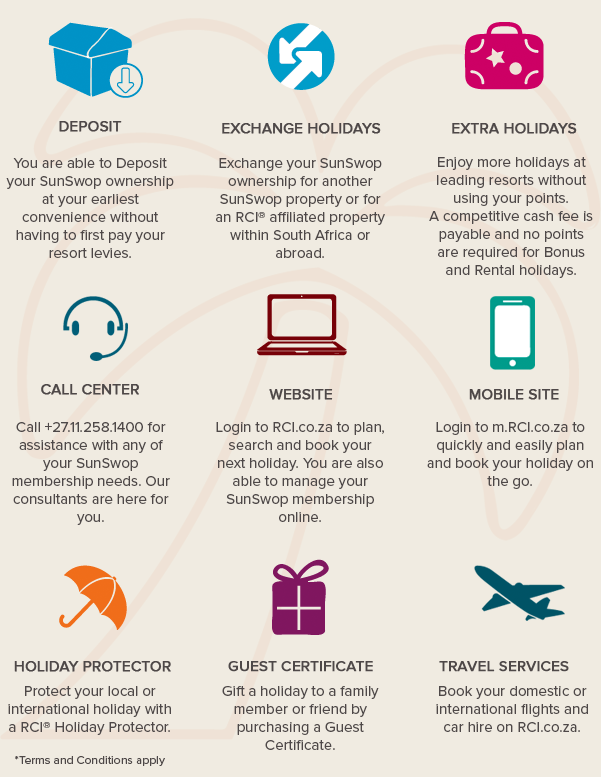 Below is a summary of these great benefits. Get started online by clicking "Register" below. 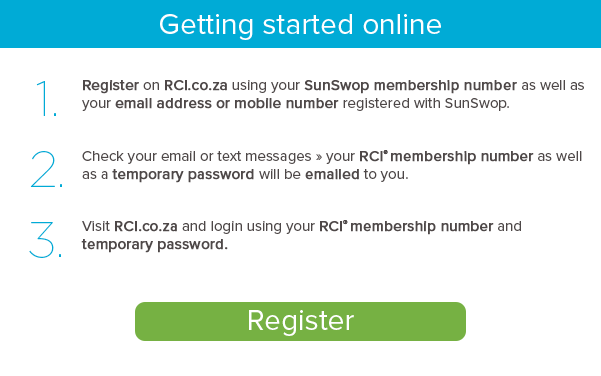 You'll be prompted to register for access to RCI.co.za using your SunSwop membership number as well as your email address or mobile number registered with SunSwop.